What does it mean to have rustic style? Rustic style shouldn’t be a design theme forced into landscapes on whim based on a trend. Some call it country, others call is naturalist chic, but whatever the verbiage, true rustic style projects warm charm, inspiration and simple elegance steeped with both the sensation of history and the notion of lasting endurance. From log cabins, renovated homes to even the newest construction, rustic style gives purpose to materials forgotten by time and incorporates other simple yet intentional materials, showcasing how natural elements become timeless. What materials should be used to achieve this style? From simple accents to full-fledged design, you can achieve this look in different degrees, especially when it comes to outdoor living. The materials should be natural like wood, stone and metal, while the colors should be earthy neutrals that can incorporate splashes of color that could be found in the wild, like shades of blue, green and red. To keep the authentic feel, materials should mostly be matte or even weathered where applicable, but a hint of newness or shine can be appealing to break up the mainly organic textures. Too many mass-manufactured items in a rustic room can dilute the character of the space, so minimalist approach with a few selected rough profile objects are best suited. Due to the natural nuances, rustic living spaces feel like an extension of the great outdoors. Creating a perfect transition between indoors and out, this style screams comfort, with little effort…but how can you achieve this for your own property? For structures, the supporting elements call for roughhewn trees and tree trunks, true to nature’s intention. All wood elements should remain unpolished and rugged, almost as if it were all reclaimed. For stone elements within your design, whether they be accent or a structure, they should be incorporated as if they were just happened upon in nature. Organic placement and mortared without pattern, these elements will set this style in stone. Thick columns, wide planks, wood-burning fireplaces, flagstone hardscapes and organic-form water features are all perfect additions into your outdoor living spaces to achieve this look. While this style of outdoor living space is based on pure simplicity, it is the details that bring everything together. You shouldn’t see any shiny nails or bolts in this type of construction! The metal detail elements in the rustic style, may be minimal, but should always be staunch and steadfast. Nails, bolts, plates, anchors..etc. should consist of hefty and well-made materials, not shy of their aesthetic imperfections. Hinges, straps, handles, knobs and decorative elements should give that blacksmith shop feel with old-world, hand-crafted charm. As for the landscaping to bring this outdoor living space together, the natural theme should carry through to the last plant; such holistic spaces would not fare well with high-maintenance and manicured, fussy foliage. This outdoor style begs for native plants and flowers, planted in a natural, flowing and slightly-wild manner. High grasses that delight and sway in the breeze, paired with a colorful array of perennials will ease the tensions of your day, as you wind down and relate back to nature. You will find that following a rustic style in your outdoor living spaces will seem to tell a story to your guests, without using any words at all. There is something almost magical that happens within this style while it effortlessly balances the hardness of the materials with the softness of its sensibility, the hand-hammered elements with the simplicity of its design; it’s very rare to find such comfort in both brute and beauty. In a world that everything is clickable, virtual, new and now, it is refreshing to settle into a space where you can take a deep breath and truly unwind. 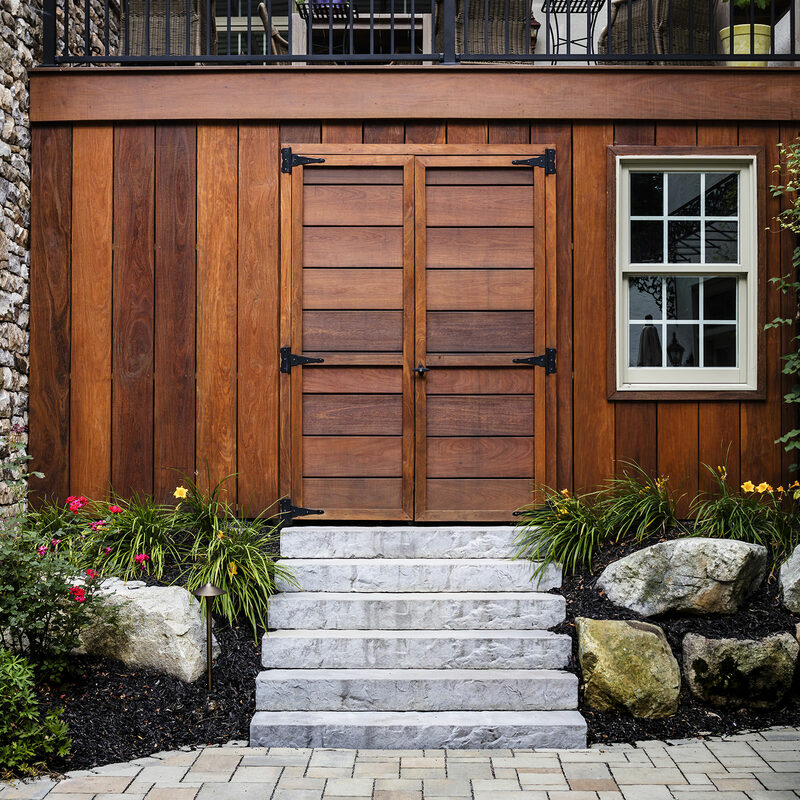 While a rustic style may or may not be in your future for your outdoor living space, MasterPLAN Landscape Design would love to help you discover your own style and talk about the features and design that suite you, your family and your property best! 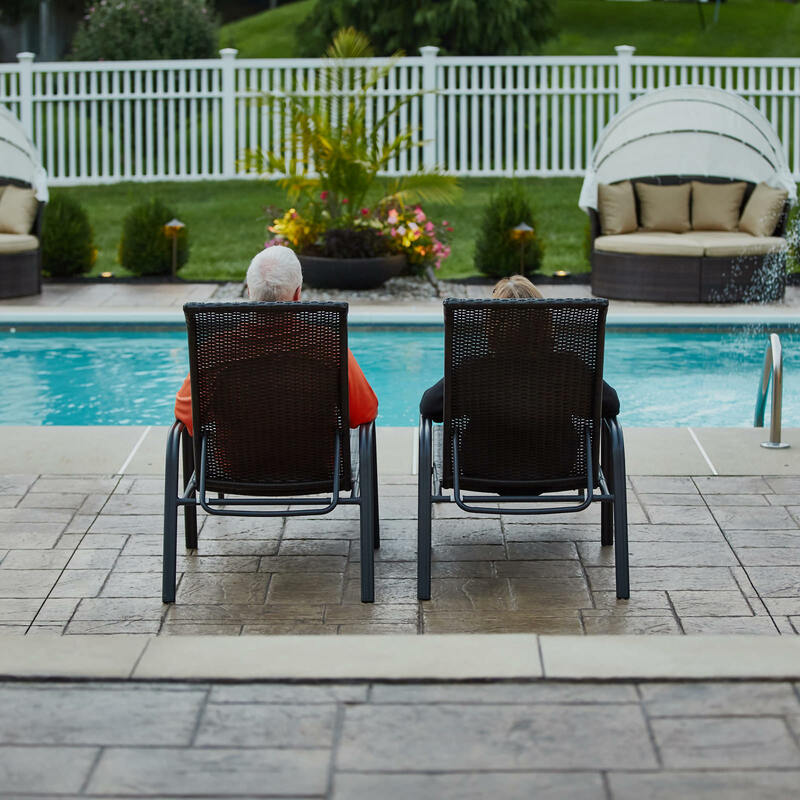 Helping families uncover the true potential of their properties is our passion and providing a backyard that emanates the feeling of comfort and love is our goal. 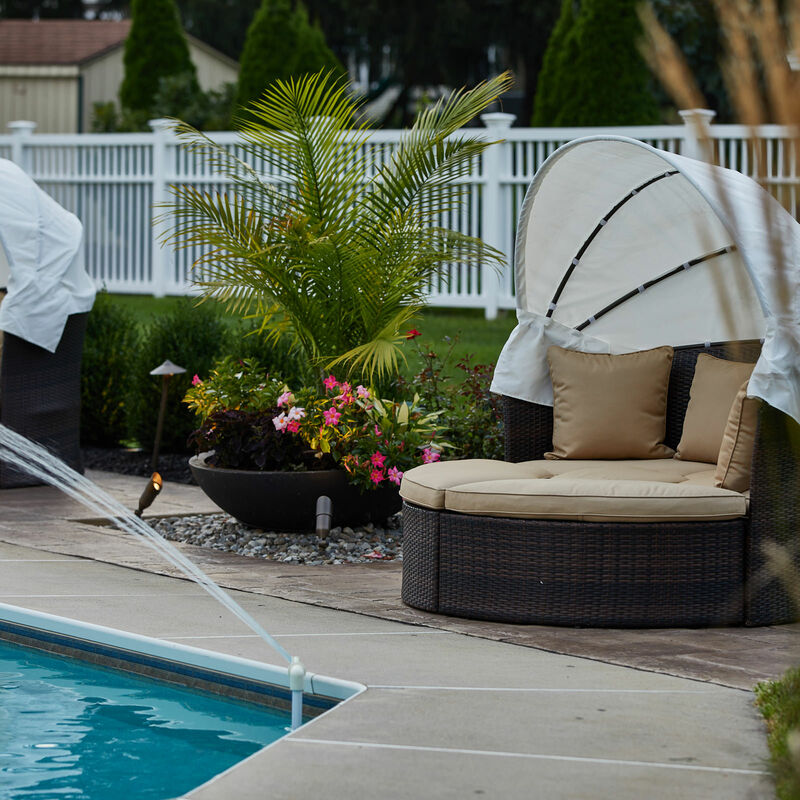 When you are ready to open a conversation about your outdoor living desires, feel free to reach out to us at MasterPLAN. We would love to welcome you into the family! MasterPLAN always plans for spatial efficiency. This Center Valley projects makes great use of space by adding storage to the under-deck area!